Last List Bloghop: the Jaguar Stones series by P&J Voelkel! I’m thrilled to be taking part in the Last List Bloghop organized by the fabulous Kat Kennedy of Cuddlebuggery, highlighting the final Egmont titles before the US branch of the publisher closes its doors. 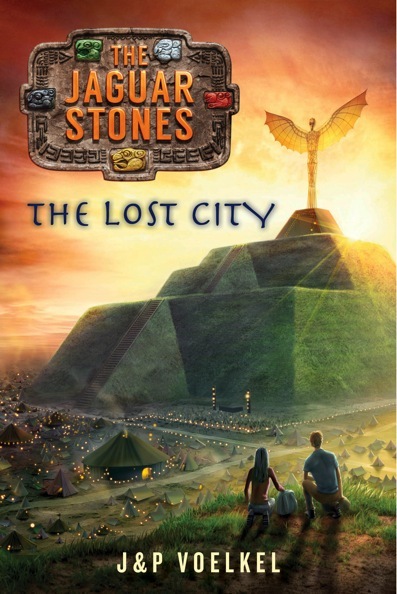 I’m honored to have Pamela Voelkel on the blog today, talking about the research that went into their MG series Jaguar Stones, whose fourth book, The Lost City, released on February 10! explains the impact of research on the books – and their lives. 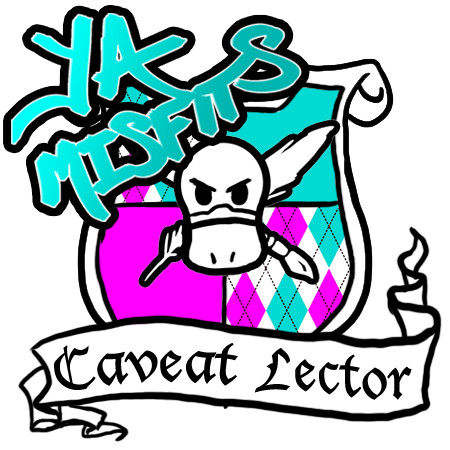 You could say that Jon spent the first sixteen years of his life researching the Jaguar Stones books because he grew up in Latin America and the series was inspired by his wild childhood. 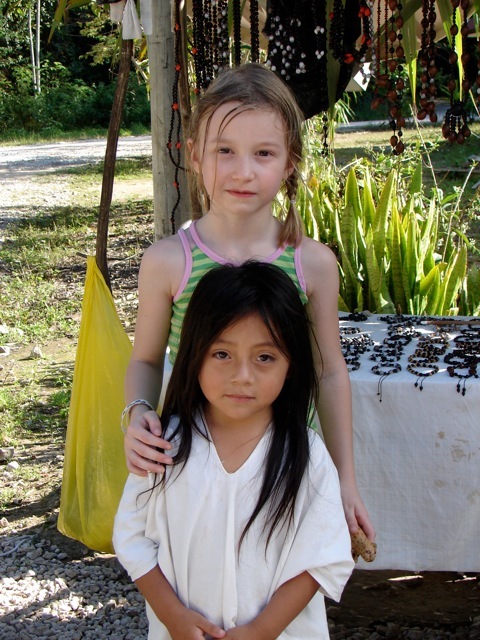 But when we started exploring the Maya regions with our own three children, the story took a different turn. Of course, we were awestruck by the achievements of the ancient Maya, but we also became fascinated by the living Maya. The character of Lola, who is torn between respecting tradition and forging her own life, came out of conversations with modern Maya teenagers and their parents. I don’t think they would have talked to us so freely if we hadn’t been travelling with our own kids. There is so much misinformation about the Maya on the internet that we feel like we owe it to them, and to our middle-school readers, to be rigorous about research.For sure, I could never have described life in the rainforest for Book One, MIDDLEWORLD, if I hadn’t seen it with my own eyes. The way different species work together to survive. The way the rainwater filters down through the limestone to a network of underground rivers and lakes. The way the howler monkeys send shivers down your spine with their terrifying growls. 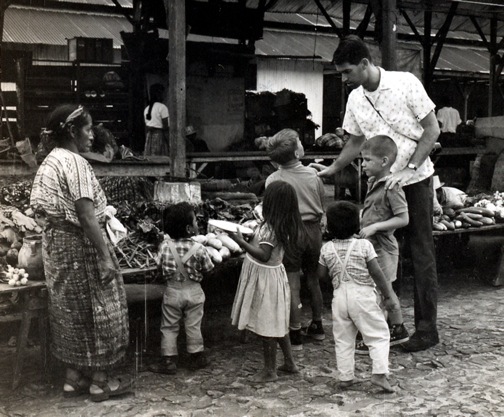 We’ve taken many trips to Belize, Guatemala and Mexico and every time we learn something new. I should stress at this point that I’m not an adventurous person. Like Max in the books, my idea of travel is room service and fluffy towels. I get vertigo every time I climb a Maya pyramid. Having fears of deep water, boats, darkness, bats and enclosed spaces, I thought I would die of terror when we canoed an underground river system. 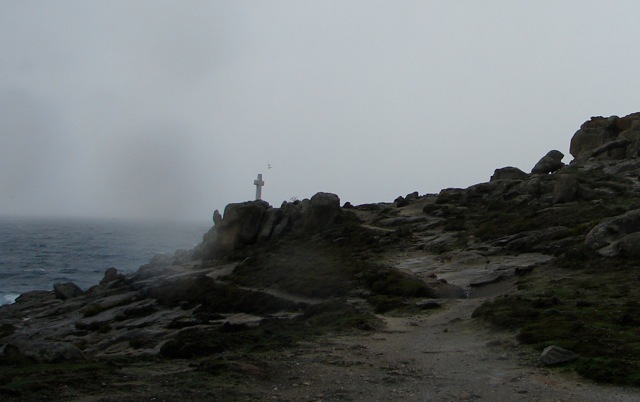 The only thing that made me do it was the need to be able to write about it – and the need to pretend to be brave in front of my kids.For Book two, THE END OF THE WORLD CLUB, we flew to Spain to research the true history of the Conquest and ended up in wild and windswept Galicia, the end of the known world to the Romans. Book Three, THE RIVER OF NO RETURN, is mostly set in the cold and watery Maya underworld. To capture its drippy, misty, bone-chilling malevolence, we explored the dank canals and spooky alleyways of Venice, Italy, in winter. Publication of the first three Jaguar Stones books took us on book tours all over the States. So when we decided to set the fourth book in North America, we were inspired by our book tour travels. The story of the LOST CITY crosses the Gulf of Mexico to New Orleans and up the Mississippi to the ruins of Cahokia in southern Illinois. Of course, the best guides to any place are local booksellers and librarians. 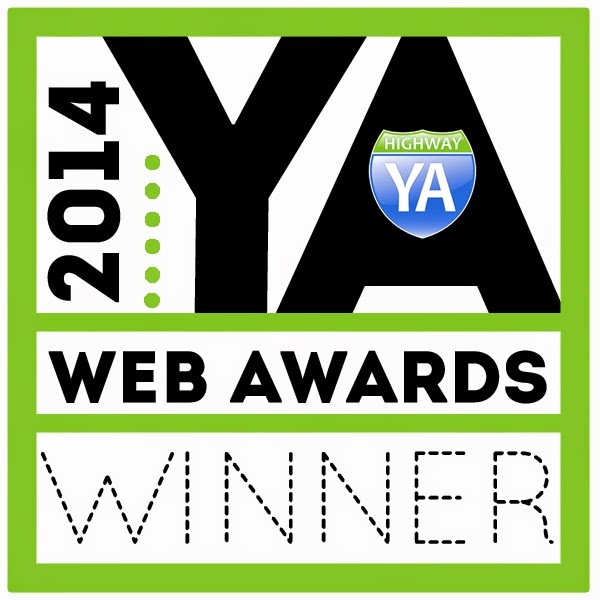 So when we needed some very specific locations in New Orleans, we turned for help to Judith Lafitte and Tom Lowenburg of Octavia Books, and award-winning school librarian, Elizabeth Kahn. 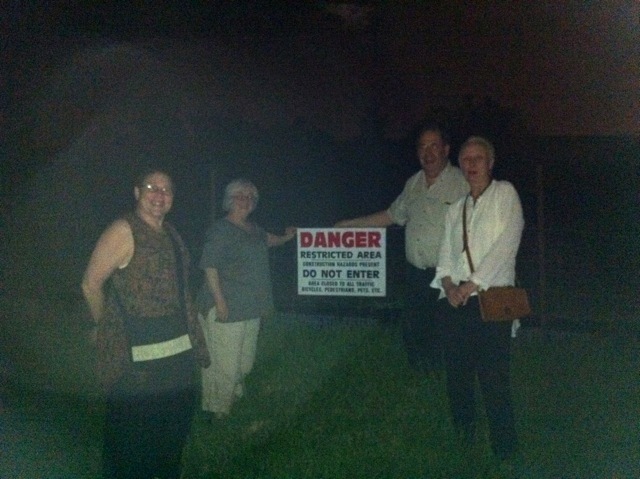 And so it was that a muggy June night saw the five of us scrambling up levees and inspecting old cemeteries in the dark. By 2am, Jon and I wanted to give up and just invent places, but Tom was outraged. “You have to make all the little lies as true as possible,” he said, “so readers can believe the big lie – which is your story.” After reading the first draft of the book, Elizabeth even took it upon herself to find the exact house and oak tree for our spooky inn in the French Quarter. Travel has always been one of my passions. * But traveling to research the Jaguar Stones books has taken me to places I would never have dreamed of visiting and introduced me to amazing people that I never would have met. It’s not always easy to pluck up the courage to start a conversation with strangers. 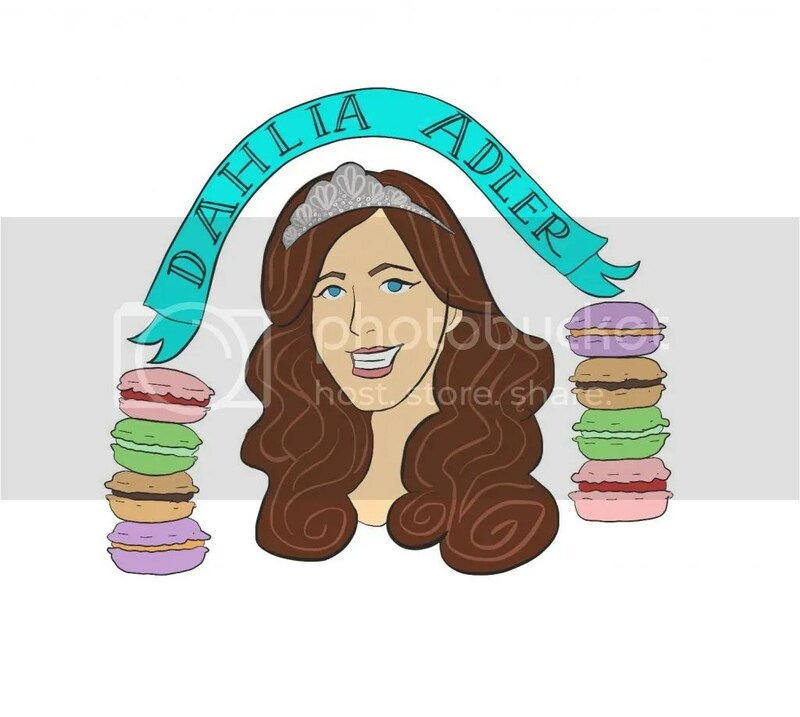 But I promise you that when people find out you write books, especially children’s books, everyone wants to help. 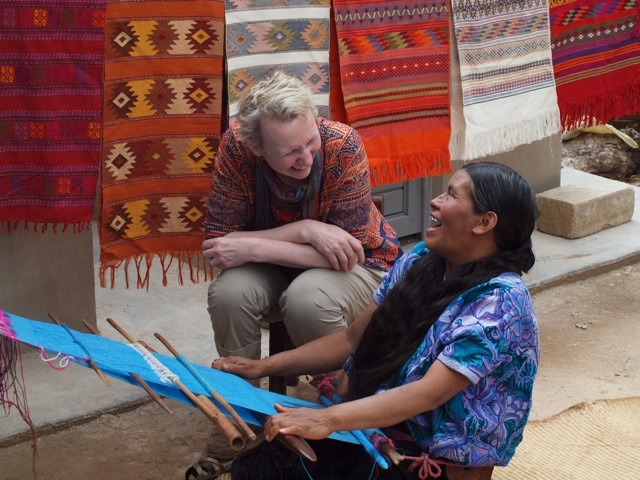 Pamela and a Maya woman who’s become a friend in Zinacantán, Mexico. 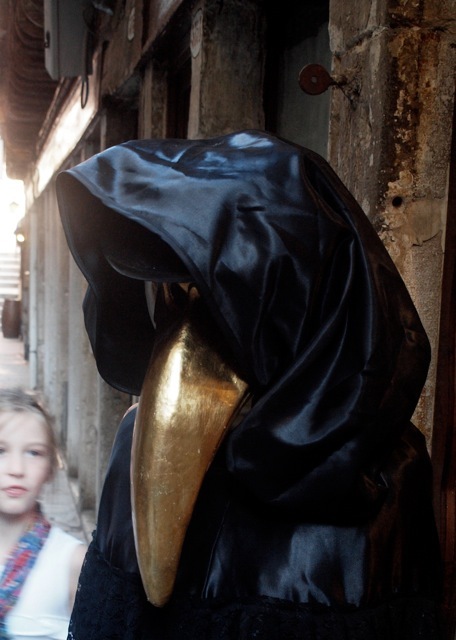 A medieval Plague Doctor comes to life in Venice, Italy. 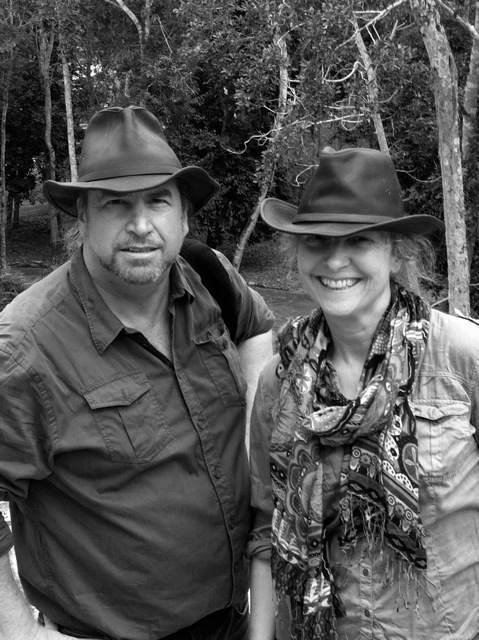 Jon and Pamela (J&P) Voelkel are the author-illustrators of the Jaguar Stones series; Pamela does most of the writing and Jon does most of the illustrating. they both worked at the same advertising agency, and now live in Vermont. most frightening experience was being interviewed by Al Roker on Today.